Nurses! We’re so excited to share something really cool with you. 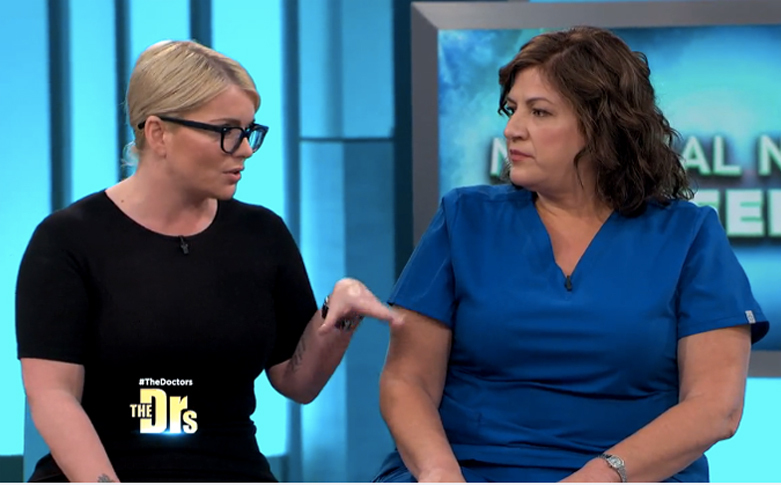 To celebrate Nurses Week, ScrubsMag teamed up with “The Doctors” for a special television event – a striking makeover given to a deserving nurse, courtesy of her daughter! We’re so thrilled to support and honor the nurses we love, and we encourage you to watch the segment featuring our own Katie Duke presenting the makeover at www.thedoctorstv.com.